We are 1.2 million neighbours, friends, and community leaders who come together to create positive, lasting change in our communities and around the world. 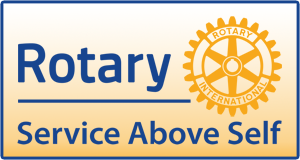 We are over over 10,000 Kiwis who are committed to Rotary's motto of "SERVICE ABOVE SELF". Our differing occupations, cultures, and life experiences give us a unique perspective. Our shared passion for service helps us accomplish the remarkable. Our impact starts with our members—people who work tirelessly with their local clubs to solve some of our communities' toughest challenges. Our efforts are supported by Rotary International, our member association, and The Rotary Foundation, which turns generous donations into grants that fund the work of our members and partners around the world. Rotary is led by our members—responsible leaders who help to carry forward our organisation's mission and values in their respective roles. We've been making history and bringing our world closer together for over 100 years. Since forming in 1905, we've taken on some of the world's toughest challenges and helped a wide range of international and service organisations—from the UN to Easter Seals—get started. What causes do we support? We have identified specific causes to target to maximise our local and global impact. At the same time, we understand that each community has its own unique needs and concerns. Whether addressing the needs of our local community, or tackling some of the world's most difficult problems - such as the eradication of polio. Rotary is about service.